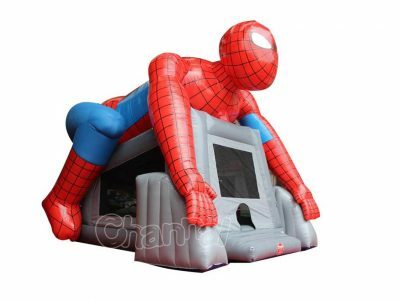 Big fan of the superhero spider-man, then you should think get a large inflatable spiderman for yourself. Giant inflatable spiderman figure is a great life size prop and decoration for Halloween and Christmas on the lawn in the yard. Imagine you have a spiderman climbing on the wall or squatting in your yard, your house will be a popular place in holiday, because kids love it. 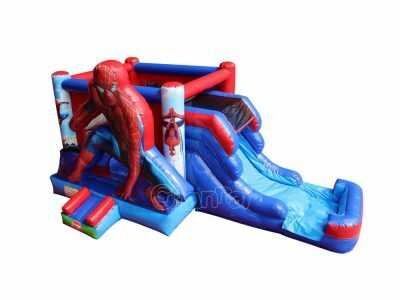 Channal Inflatables can help you design and manufacture big blow up spiderman, you can get a custom spider man in a cheap price. Of course we are open to other giant inflatable superheroes and spiderman bounce house, just contact us and we’ll make it for you.